A plaque commemorates the 50th Anniversary of the 1956 Olympic Torch Relay which passed through Maryborough in November 1956. 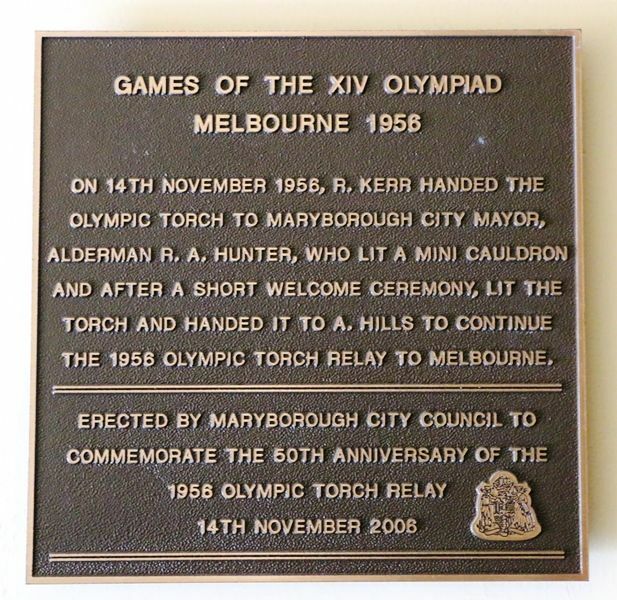 On 14th November 1956, R. Kerr handed the Olympic Torch to Maryborough City Mayor, Alderman R. A. Hunter, who lit a mini cauldron and after a short welcome ceremony, lit the torch and handed it to A. Hills to continue the 1956 Olympic Torch Relay to Melbourne.